Climate change impacts our planet in far-reaching ways, and now a new study suggests it will even change the color of Earth's seas. Researchers from the Massachusetts Institute of Technology (MIT) suggest that much of the ocean surface will be bluer and greener due to the effect of rising global temperatures on phytoplankton, or microscopic marine algae that contain chlorophyll and need sunlight to live and grow. For the study, published Monday in the journal Nature Communications, the researchers used computer modeling to simulate how temperature, ocean currents and ocean acidity will impact the growth of different types of phytoplankton as well how they absorb and reflect light, the Guardian reported. 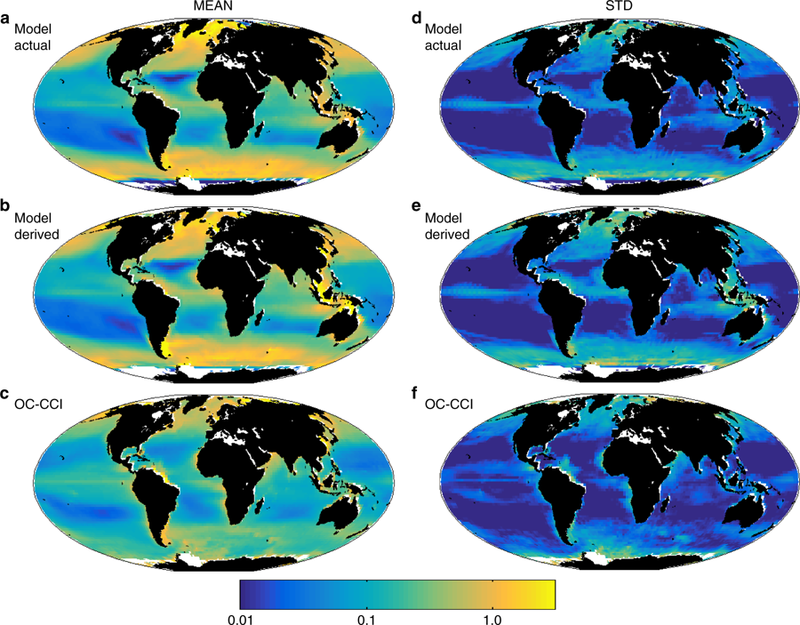 Their results showed that more than half of the world's oceans will shift color if sea surface temperatures continue to rise under a "business as usual scenario" of 3°C (5.4°F) by 2100. "There will be a noticeable difference in the color of 50 percent of the ocean by the end of the 21st century," lead author Stephanie Dutkiewicz, a principal research scientist at MIT's Department of Earth, Atmospheric, and Planetary Sciences, said in a press release. When water looks especially green, it means there is a lot of phytoplankton growing near the surface. According to study, as ocean temperatures rise, greener regions such as near the poles, may turn even deeper green, as warmer temperatures lead to larger and more diverse phytoplankton blooms. Conversely, when water looks especially blue, there is less phytoplankton. In blue regions such as the subtropics, waters are expected to become even bluer, meaning there's even less phytoplankton—as well as life in general. The implications of the study could be "quite serious," as Dutkiewicz noted in the release. Phytoplankton are the base of the aquatic food web, feeding everything tiny zooplankton to larger species such as whales. "Different types of phytoplankton absorb light differently, and if climate change shifts one community of phytoplankton to another, that will also change the types of food webs they can support," she said. The little algae are also crucial in absorbing the carbon dioxide causing climate change. "Without them there wouldn't be any life in the ocean," Dutkiewicz also told WBUR News. "If they were to magically change—or if we were to kill them off completely—there would be a lot of carbon coming out of the ocean and back into the atmosphere, and creating more problems that we have now." Amala Mahadevan, a physical oceanographer at Woods Hole Oceanographic Institution who was not involved with the study, praised the MIT researchers for coming up with a novel method of measuring ocean health. She told WBUR that current methods for monitoring phytoplankton only show information about local or regional changes, but this new research could provide a better and clearer picture on much a larger scale. "If we were able to get a global picture, that would be very powerful," Mahadevan said.